Atlanta Falcons fans have a new reason to cheer -- cheap concessions. When the team's new Mercedes-Benz Stadium opens in 2017, the prices of hot dogs and soda (with unlimited refills) will be the lowest in the NFL at just $2 each. In fact, across all four major sports leagues, only two Major League Baseball teams have cheaper prices for sodas and hot dogs. Other inexpensive concession offerings will be: $2 bottled water, pretzels and popcorn; $3 peanuts, pizza, nachos and waffle fries; and $5 12-ounce cups of domestic beer. Because of the low prices, a family of four will be able to eat for about $28 at Falcons games and other events at the stadium. Local and national restaurant chains will offer higher end food items, draft beers and mixed drinks at the same prices offered in their regular locations. The Falcons also hope to have shorter wait times in concession lines. Soda refill stations will be self-serve and will be in a different area from where people are placing their initial orders. All prices, which include tax, are on the dollar -- no coins needed. 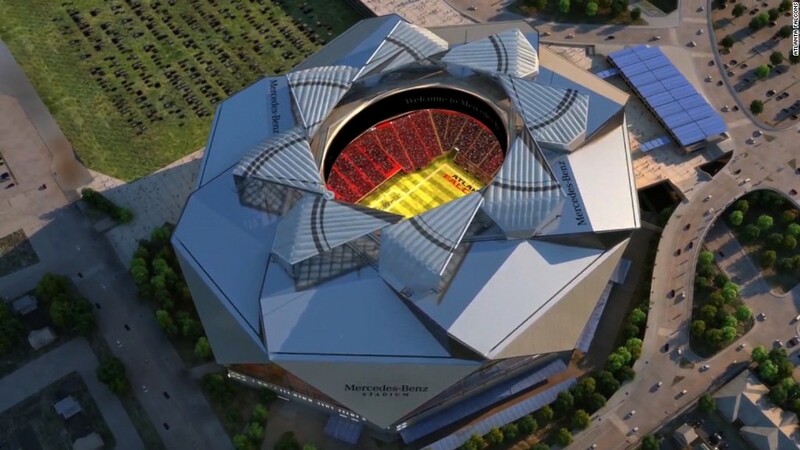 The new stadium, in downtown Atlanta, will have 670 spots where fans can buy concessions -- 65% more than what the team currently has in the Georgia Dome. Falcons owner Arthur Blank said the aim was to produce a "unique fan experience" that would allow game attendees to focus on the game and not become frustrated with the inflated cost of food and drinks. The low prices may be an attempt to appeal to fans -- the Falcons will offer personal seat licenses for the first time in the new stadium. PSLs are one-time fees on all seats that allow the purchaser to reserve a seat or transfer or sell the rights to someone else. Fees for the licenses range from $500 for seats in the upper level to $45,000 along the 50-yard line. According to stadium reps, the $45,000 Founders Club seats and the $10,000 Piedmont Club seats are sold out and over 65% of the seats on other levels have been sold.